WILMINGTON, Del.—March 28, 2018—Katabat, a leading provider of debt management software for top global lenders, announced today that Kelly Dickerson has been appointed to the position of Chief Operating Officer. Dickerson joined Katabat in December 2017 as Head of Product Strategy. Katabat serves a global client base with solutions for debt collections and recovery as well as portfolio servicing and marketing. Since its founding in 2006, Katabat has been a driving force in the revolution in customer engagement for lenders, delivering automated, cloud-based customer management software solutions across the credit lifecycle. Prior to joining Katabat, Dickerson worked in venture capital with QED Investors as well as in executive positions at Citizens and Capital One. Kelly holds a Bachelor of Science degree in Chemistry from Virginia Tech and is currently enrolled in the U.S. Army War College. 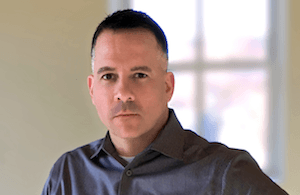 Kelly is also a U.S. Army Reserve officer, where he has served for over 25 years including several overseas deployments, and is a board member for Capitol Post, a non-profit for career–transitioning military veterans and their spouses. Katabat combines collections and machine learning expertise to deliver great debt collection management solutions with process-driven speed. Partnering with lenders and collectors across multiple industries keeps Katabat at the cutting edge of debt management, machine learning, automation, regulatory compliance, and data security. Contact us today at info@katabat.com to learn more about our full range of debt management products.